Learn how to reset a log in password for Paperless Pipeline. Short Version: 1) Go to Paperless Pipeline's login page → 2) Click on the "Forgot your password?" link. 3) Enter your email address and click [Reset Password]. 4) Check your email inbox for a link to complete resetting your password. 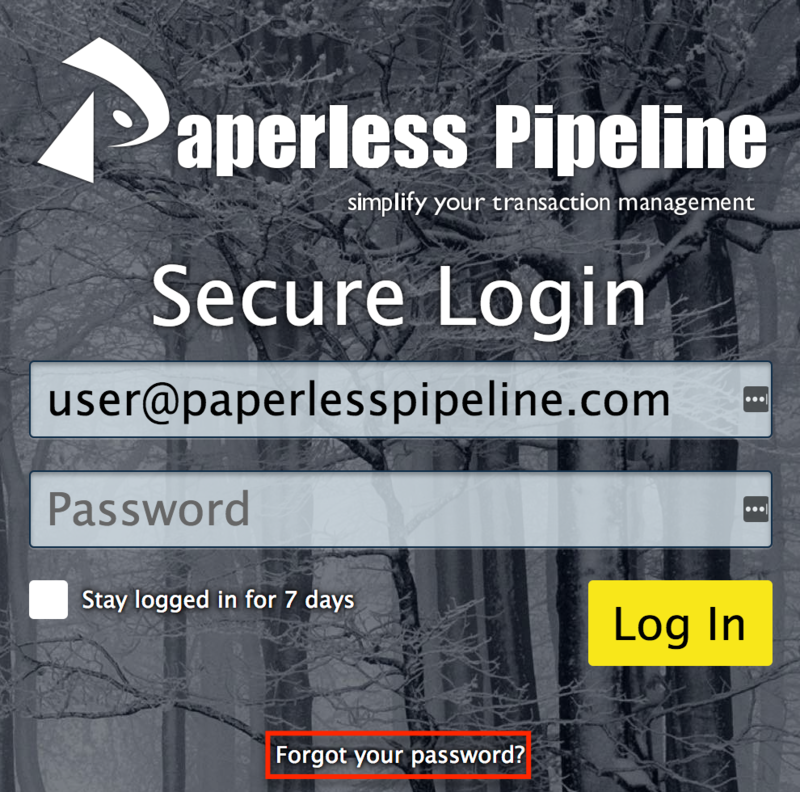 Go to the Paperless Pipeline Login Page → and click the "Forgot your password?" link. Type in your login email address and click [Reset Password]. Check your email for a special link that will reset your password. Type in your new password twice and click [Change Password] to complete the reset. You can now return to the Paperless Pipeline Login Page → and log in using your new password.